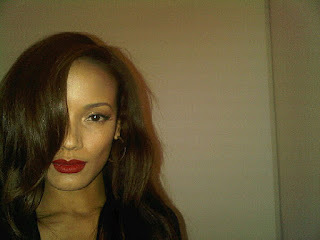 Today, Cayman Islands model, Selita Ebanks tweeted this photo of her wearing "the perfect red" from Stila: "I'm loving this new Stila matte lipgloss in Firey (sic)! What do yall think? #Caliente."